I'm having trouble with my Cameo DVC 4 (same hardware as DVC FUN). Since I couldn't find a forum for the Cameo hardware, I thought I'd try here. 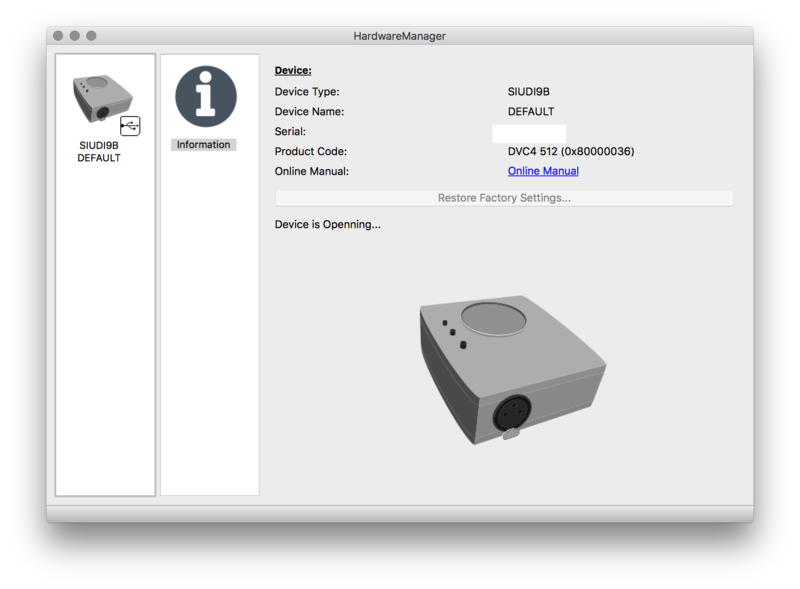 When I launch the Hardware Manager the device is hardly ever recognized. 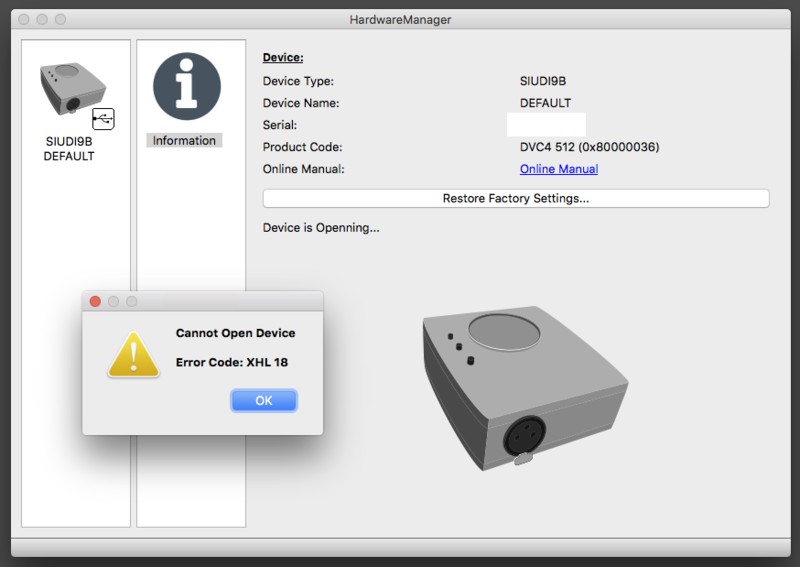 And after endless USB cable unplugs and re-plugs it finally is recognized, the software gets stuck to "Device is openning" (sic) and gives an error code XHL 18. 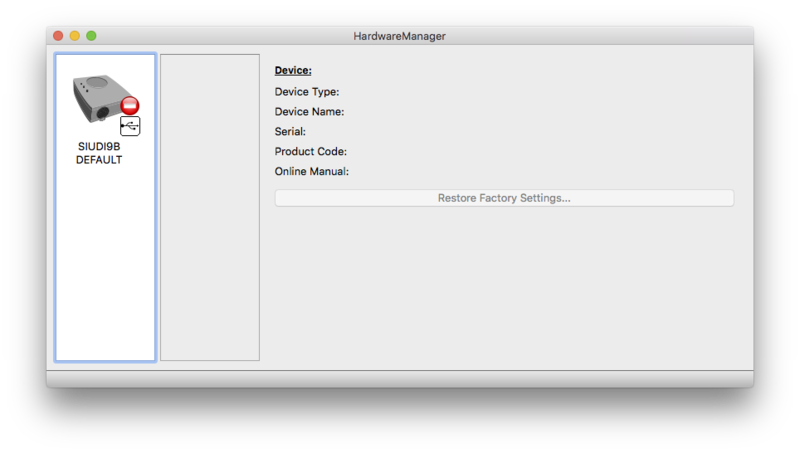 I think your version of Hardware Manager is now a bit too old and should be updated. Please go on our website : https://www.daslight.com/fr/download.htm and download the latest Daslight 4 Beta software. 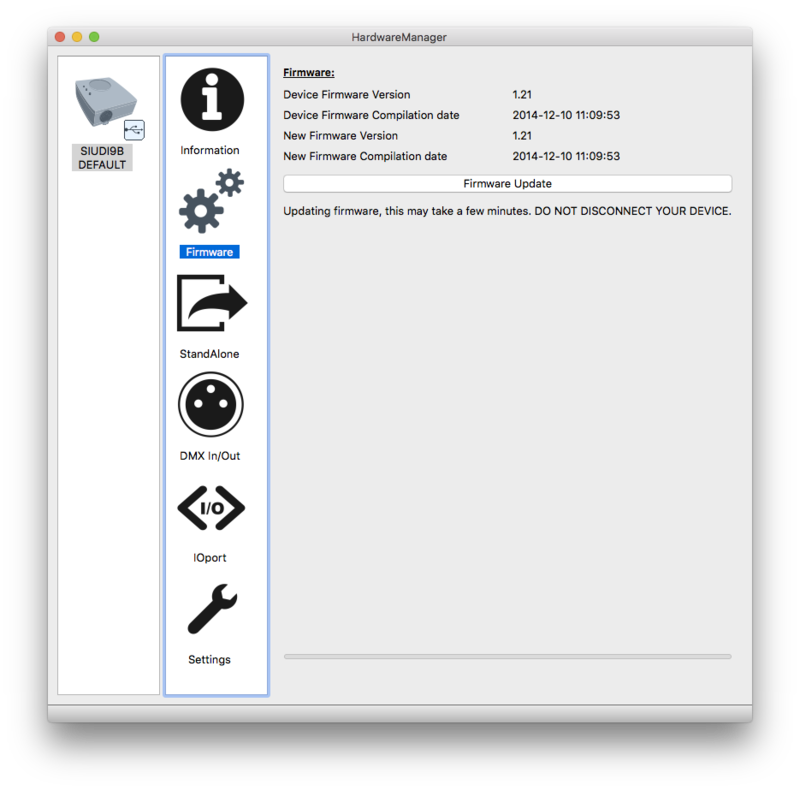 This setup contains the latest version of Hardware Manager available, that should fix your problem. I downloaded the new Hardware Manager, and the result is the same. Right, then it might be a problem with your USB cable, or the USB port you're using on the computer. Could you please try using another USB cable ? And try plugging the interface on another USB port on the computer ? This is only to determine weither there is something wrong with the interface, or the way you connect it. Tried both ports on the MacBook Pro and three different USB cables already. The problem is the same with all of them. 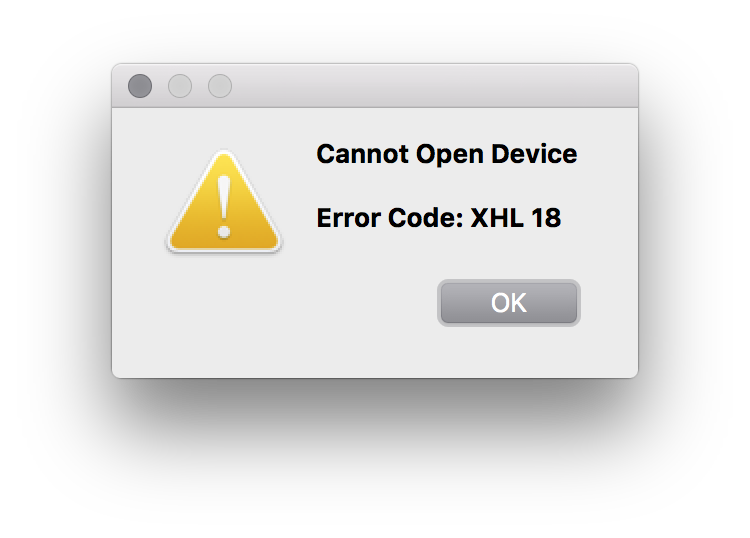 It's really difficult to get the Hardware Manager to see the interface at all (maybe once in 30 times when I plug the cable in), and even if the interface is recognized, there is that XHL 18 Error. 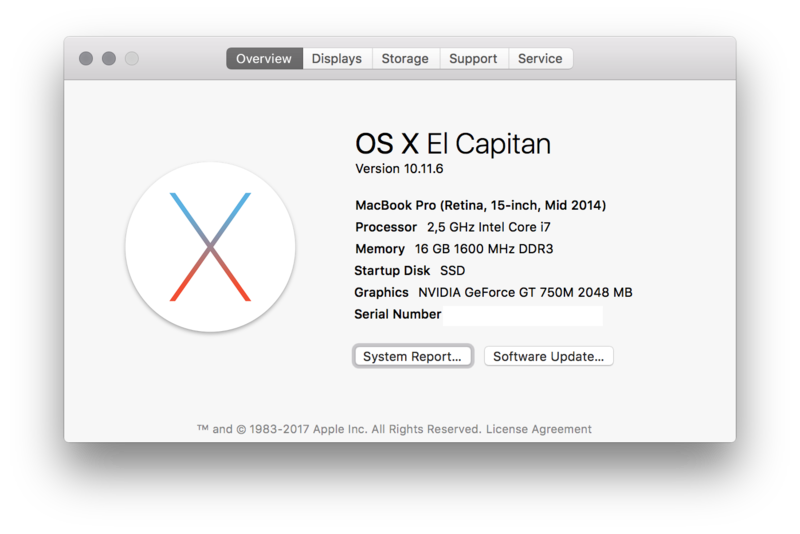 I just installed the Hardware Manager to my desktop Mac Pro and looks like the same problem occurs there. So far haven't been able to get the software to recognize the interface at all. Do the blinking lights on the interface have any significance? The green light is blinking, the red light is blinking rapidly and the yellow light is constantly on. Ok, I finally have a connection with the Mac Pro! Ok, it looks as if the USB connector of the interface is a bit crap. I can make the computer recognize the interface by wiggling the USB cable while it's connected. The connection is dropped as easily as it is made, so not very robust for live use this one. For no apparent reason Hardware Manager also got past the "Device is openning" / "Error Code: XHL 18" routine and launched properly, so I decided to reset to factory settings and update the firmware. Can I just pull the plug? The ticket is in. Hope to hear from your people soon!